Prints, meet your best match. 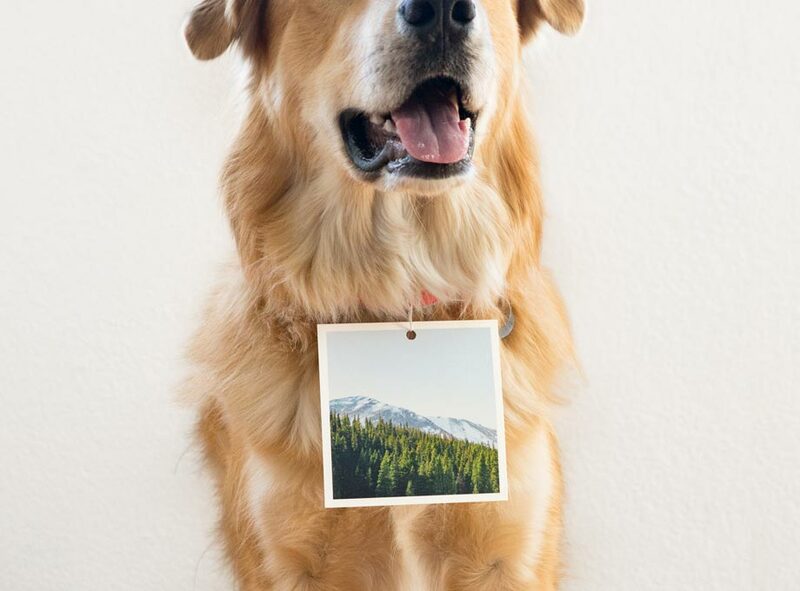 Display your photos with our go-to print accessory, the Walnut Print Block. 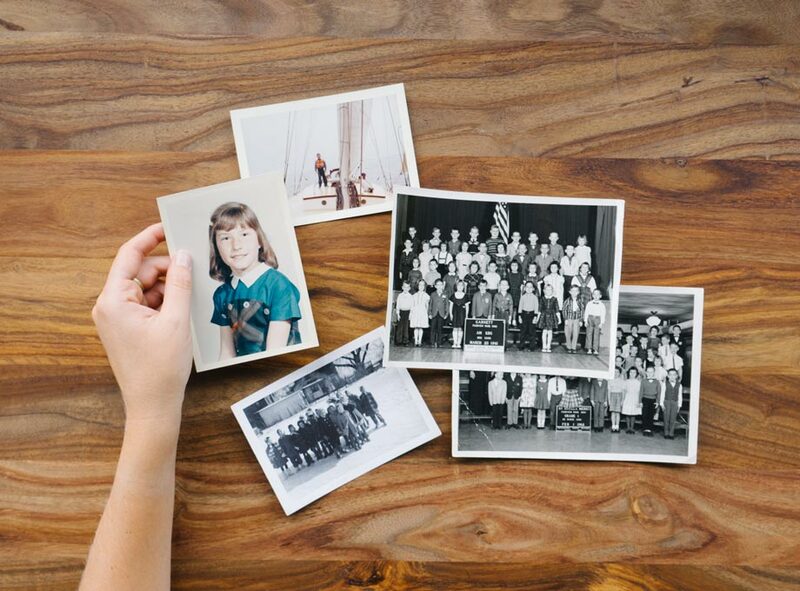 This print stand is handcrafted from reclaimed black walnut, creating a unique desk accessory to display your photos. 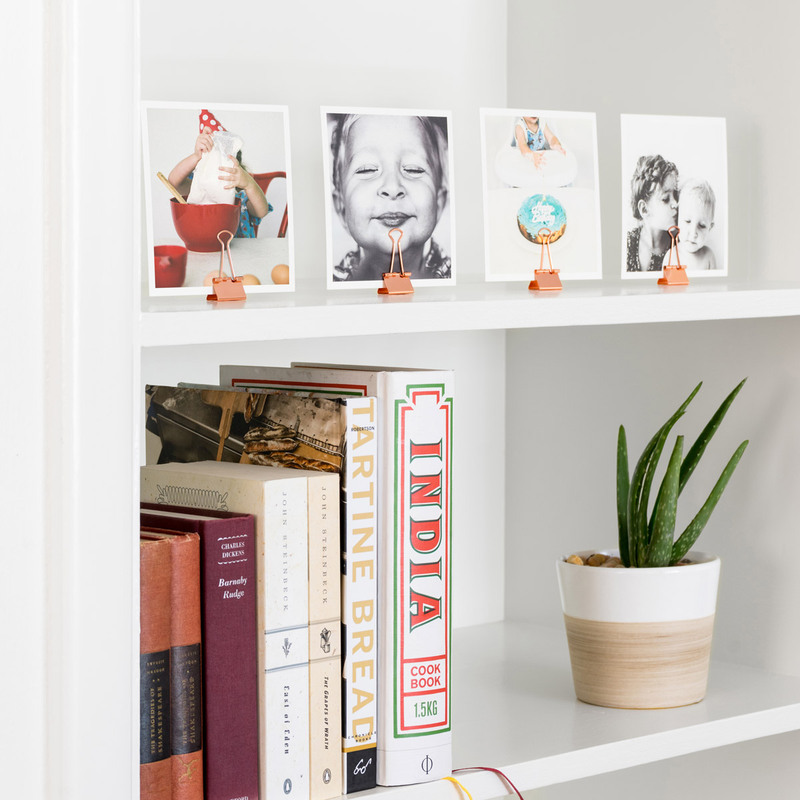 Looking to switch up a shelf or countertop display? Line 'em up! Metal paper clips are the perfect stand for your Everyday Prints – just clip the bottom of the print and align the flat edge of the clip along your surface. Say farewell to the shoe box, and hello to the Brass & Wood Display Box. 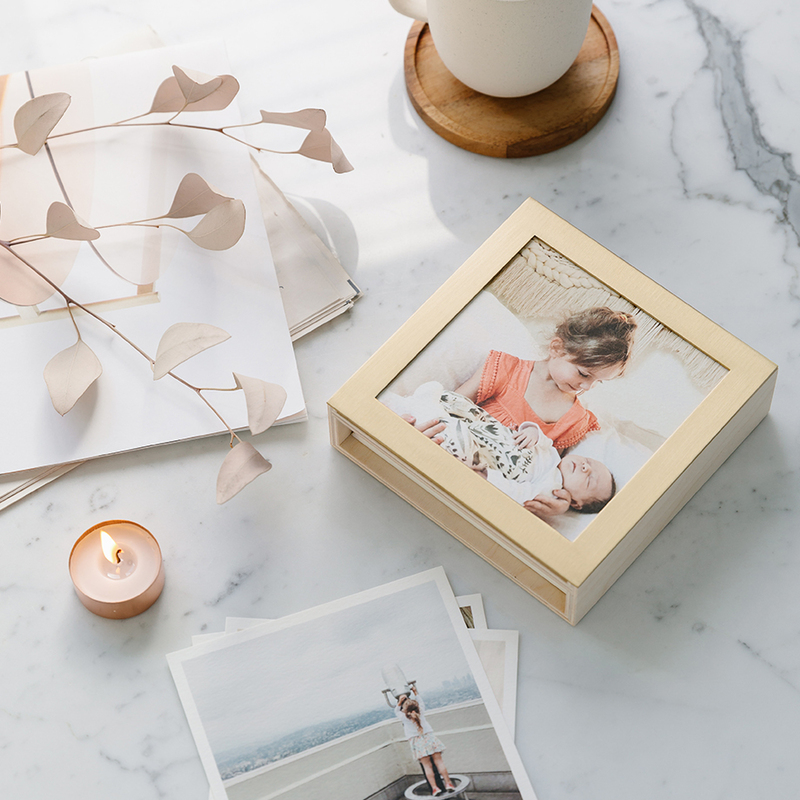 Holding up to 50 of our 5 x 5" Square Prints, this box crafted from brass and real hardwood allows you to simultaneously display and store your photos that matter most. 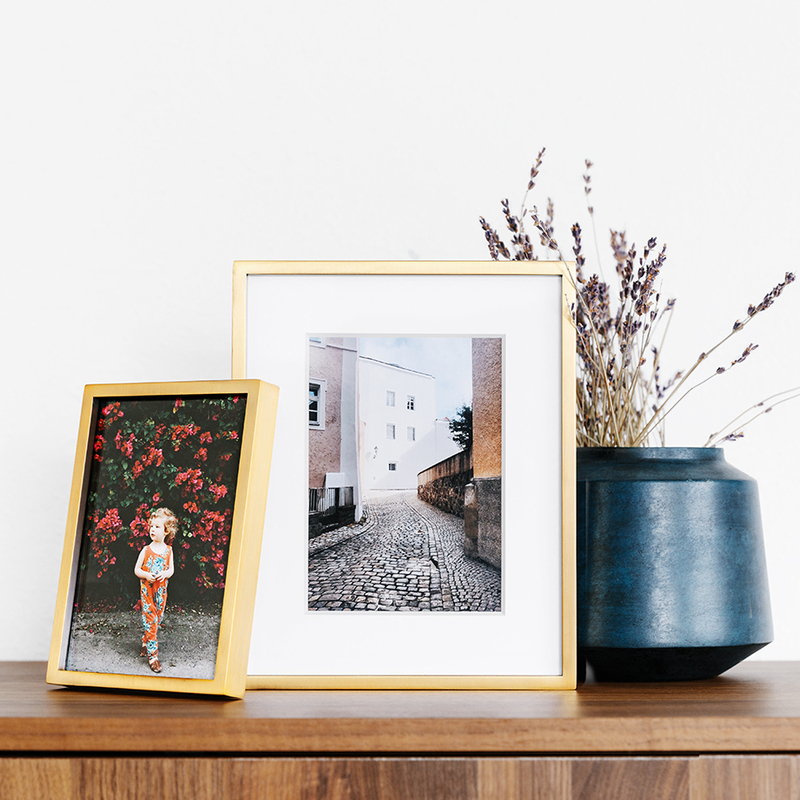 Framing your photos has never looked better than with our Tabletop Frames. 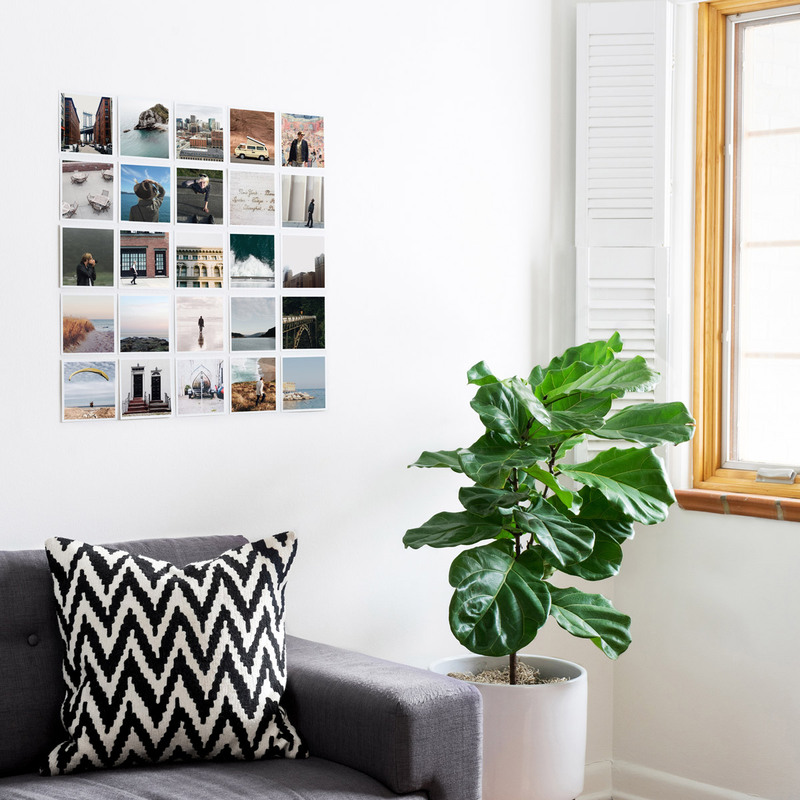 Designed with flexi-point backing, this frame allows for easy rotation of your Everyday Prints. Patterned or colored art tape is a no-fuss way to add an element of design to your print display. We love a mix of copper, striped, and silver Washi Tape, pictured here. 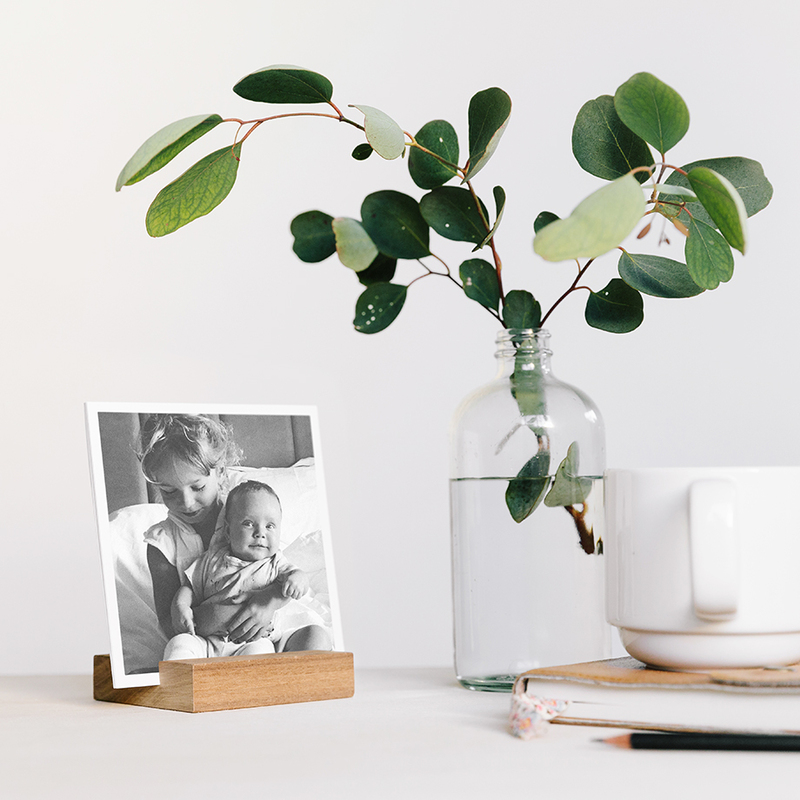 Let us introduce our new handcrafted Wooden Photo Ledge. 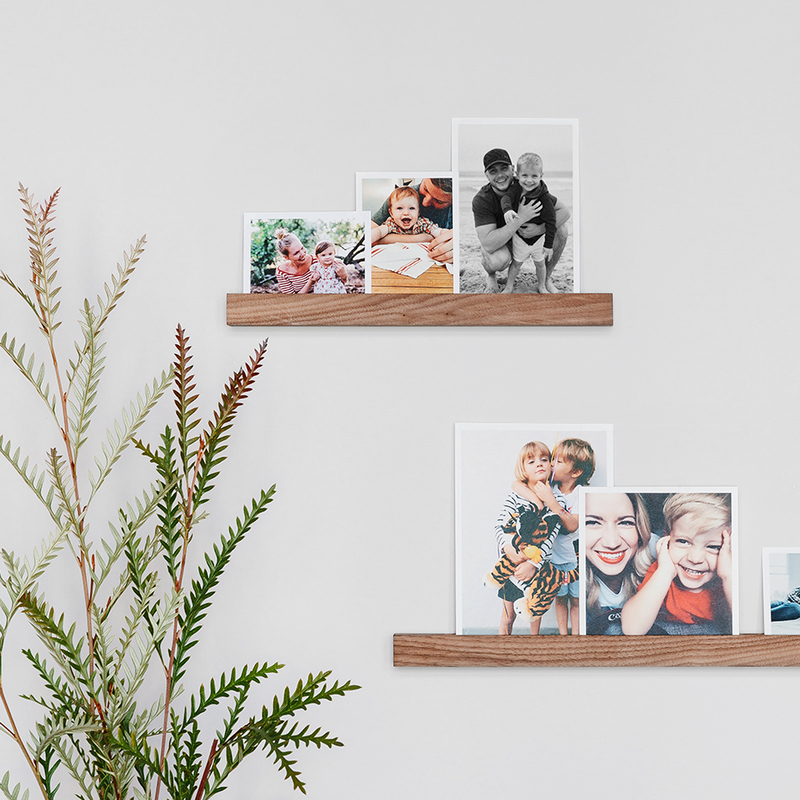 This timeless display, comprised of real walnut wood, works nicely on a mantle or as a shelf display. Best part? The ledge allows you to layer your Everyday Prints with the option to easily rotate between your favorites. 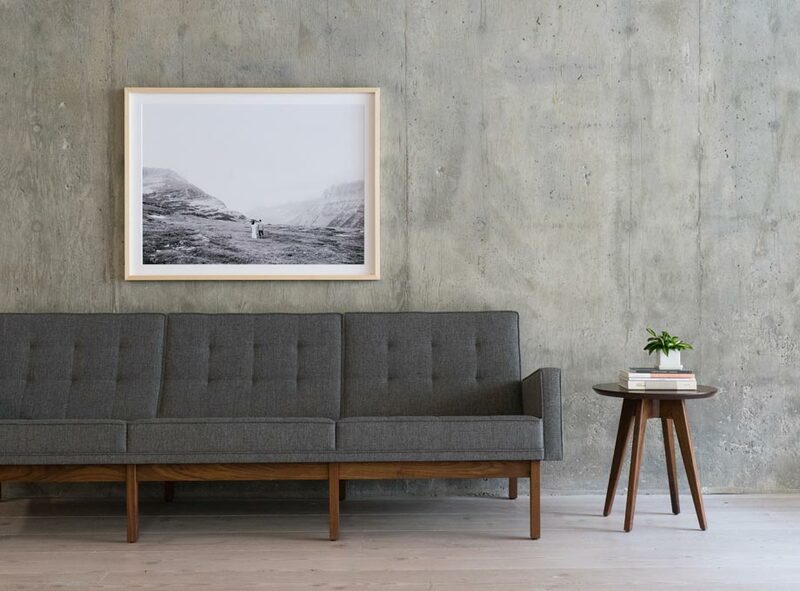 Bare walls, be gone. 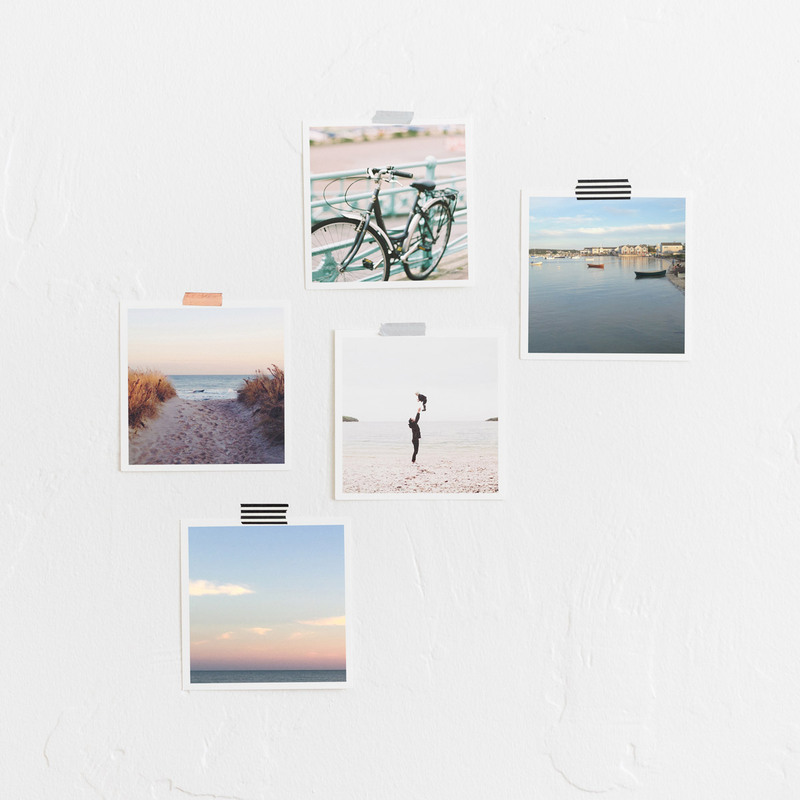 Tape up a 5-by-5 photo grid that tells your best stories (plus, your walls will thank you for leaving them unmarked).